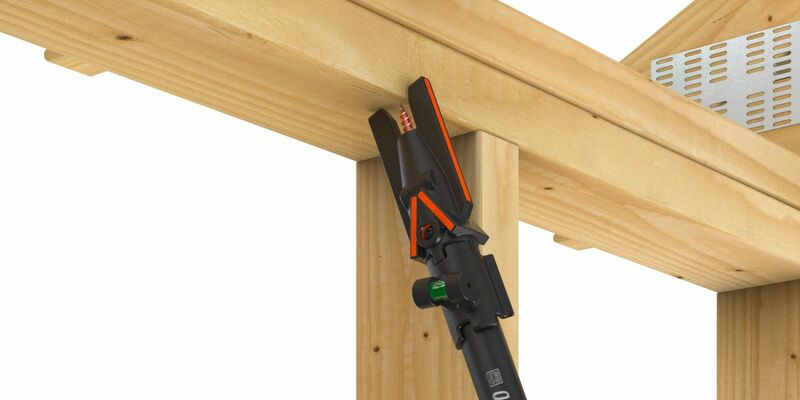 Introducing the new standard for overhead assembly installations of rafter and truss connections. 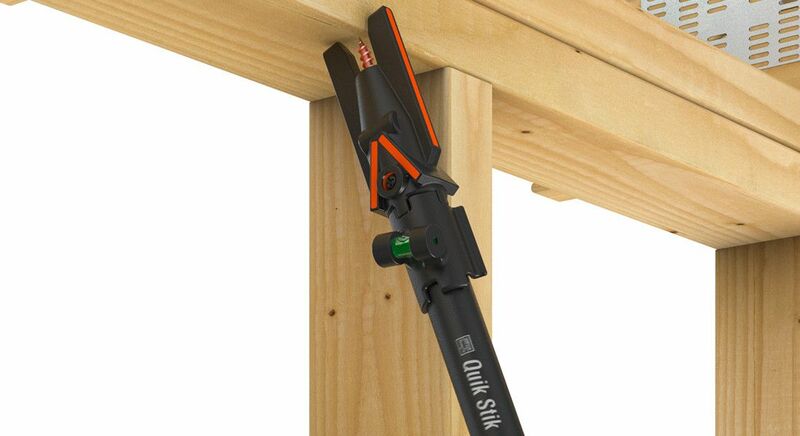 The Simpson Strong-Tie® Quik Stik installation tool provides contractors with a versatile solution that makes fastening rafter and truss connections fast, safe and easy. 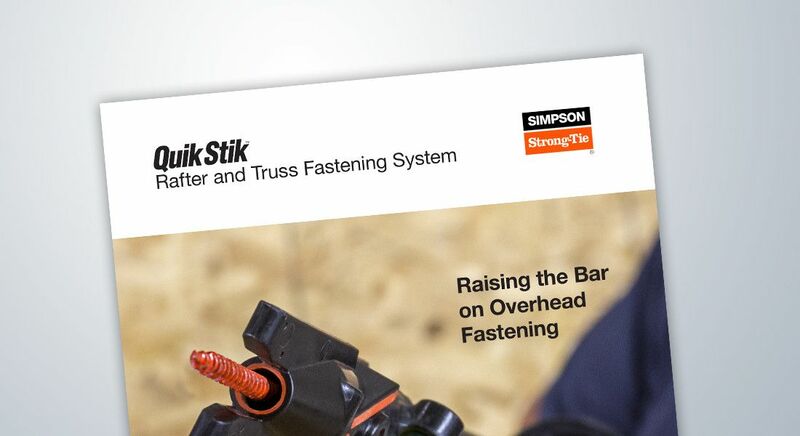 Quik Stik and Strong-Drive SDWC Truss screws are designed to work together for a safe, reliable solution from the leader in structural fastening. 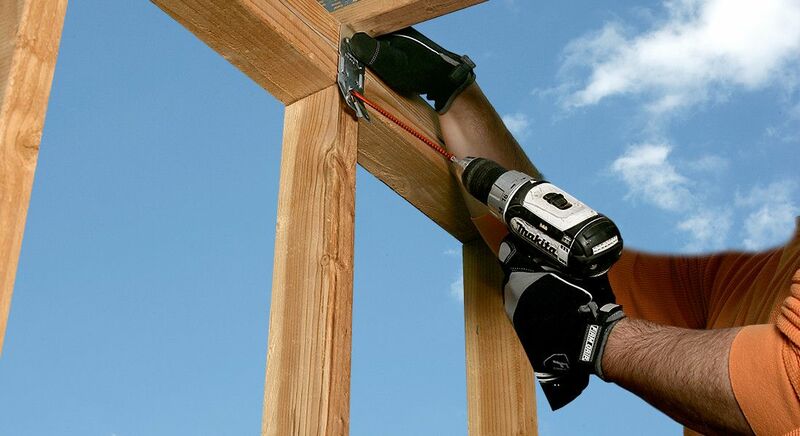 See how easy overhead fastening is with Quik Stik in these how-to galleries. 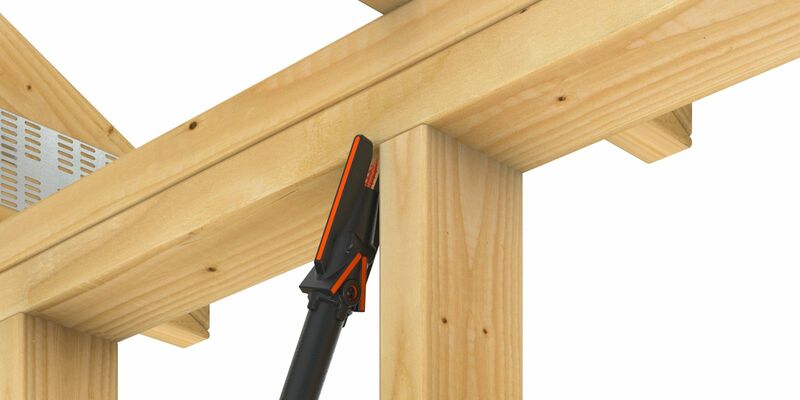 Attach to any drill or impact driver — even cordless. 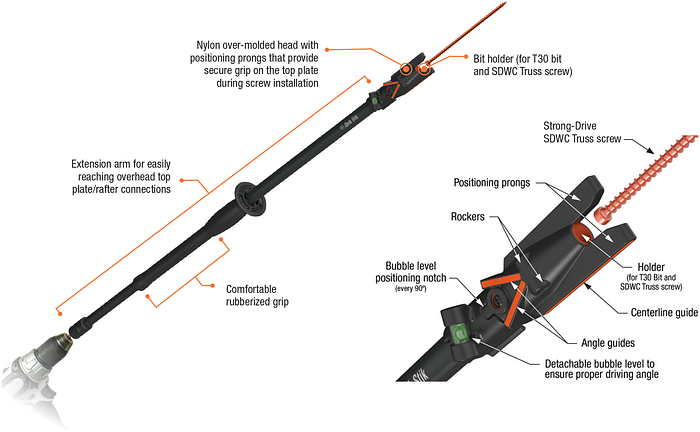 Load SDWC Truss screw into Quik Stik head. 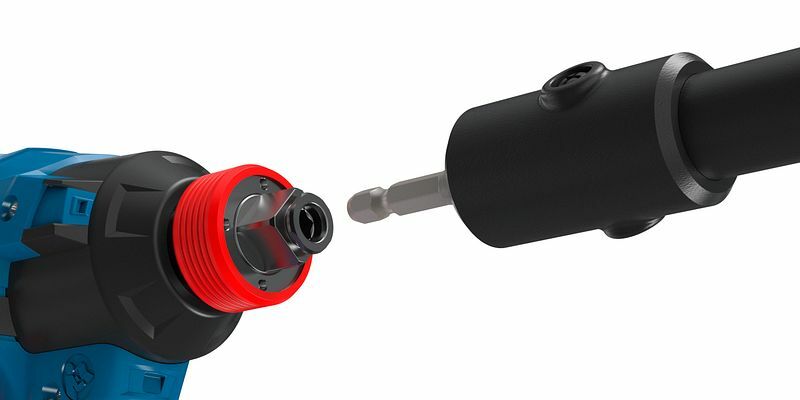 Drive screw quickly, accurately and easily. 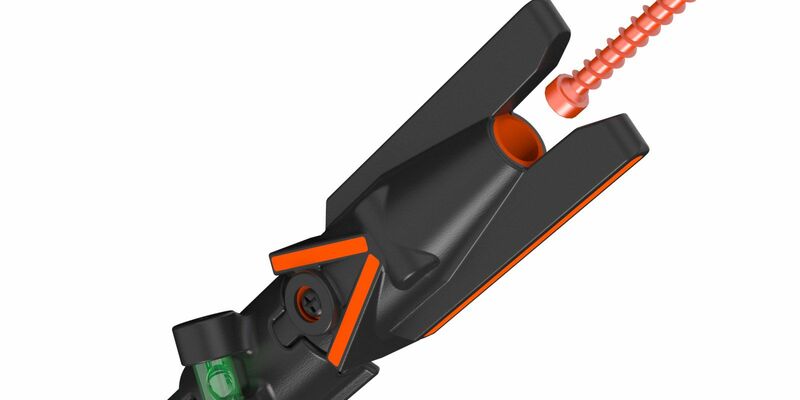 Narrow-face stud to top plate. Wide-face stud to top plate. 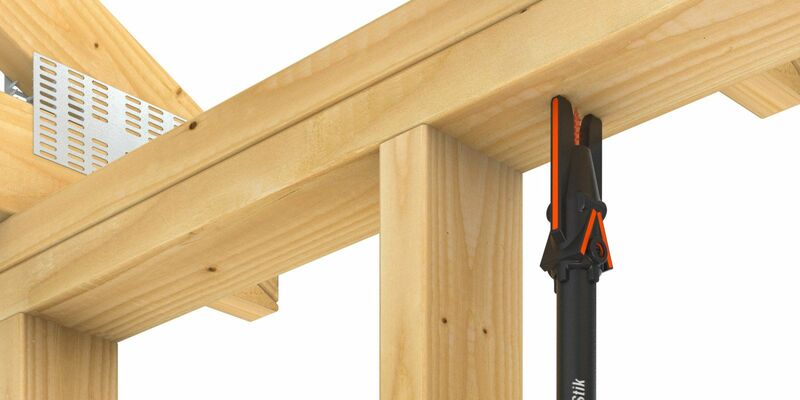 Truss rafter offset from stud. 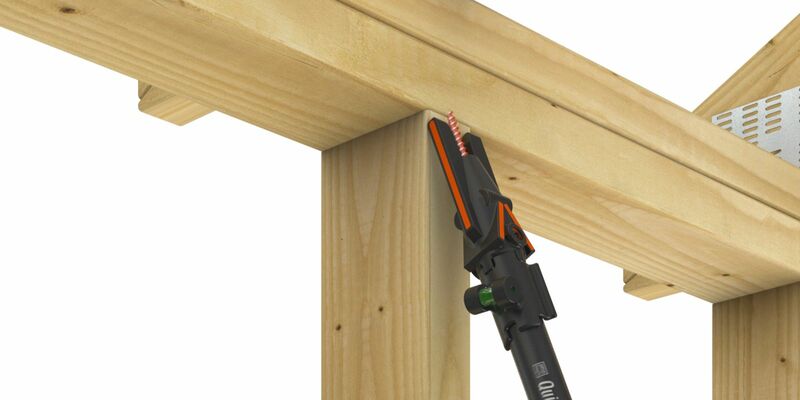 In this type of installation, when the angle guideline is vertical (or if bubble is visible in level), the SDWC screw is at the optimal angle for top plate to rafter/truss connections. 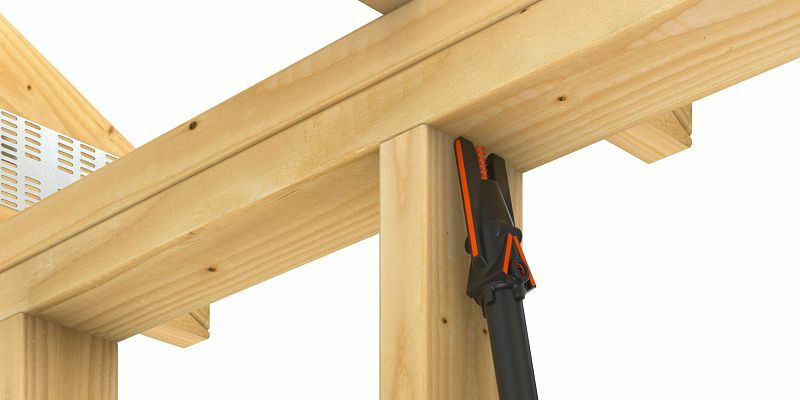 In this type of installation, when the centerline guide is vertical, the screw is at the optimal 90° angle for vertical connections into an offset rafter/truss assembly. 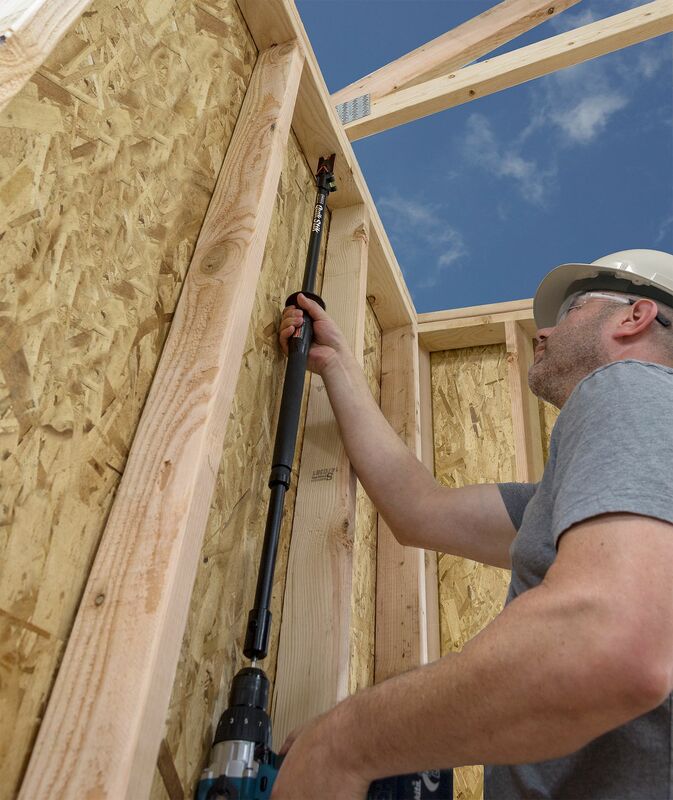 In this type of installation, when the centerline guide points to the middle of the rafter/truss and the angle guideline is vertical (or if the bubble is visible in the level), the SDWC Truss screw is at the optimal compound angle.